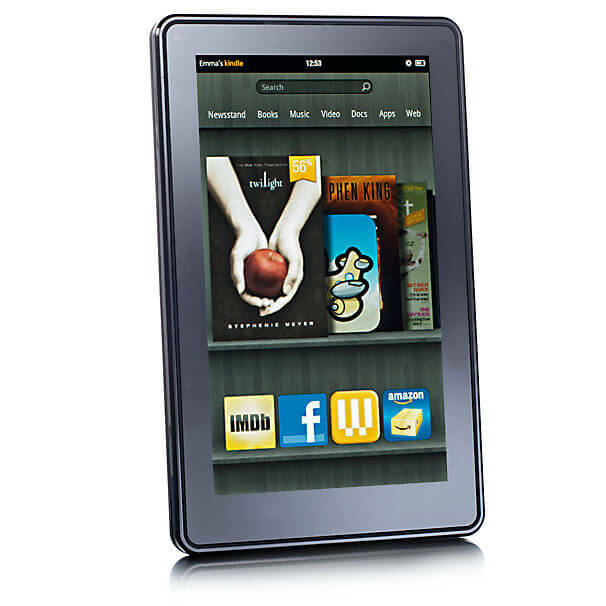 Is the Kindle Fire More Popular Than All Other Android Tablets? Another month, and another comScore “survey” comes along that seems to cry doom for Google, at least in the tablet market. This time, it’s a survey that suggests that Amazon’s Kindle Fire accounts for over half of the Android tablet market (http://goo.gl/RUoFK) in the U.S. Globally, Google’s Android, and various forkings of Android whose numbers cannot be properly estimated (especially in China), still outnumber Kindle Fires. Let me first take the opportunity to point out that any comScore survey is a finger-crossing proposition, little better than reading the tea leaves, as I’ve pointed out previously (http://goo.gl/B1ge7). They’re at least as liable to be horribly wrong as they are to be nearly accurate. Google, Facebook, and many other companies have called various comScore surveys out for being grossly inaccurate, and at times they’ve even proven incapable of performing basic math. For example, comScore is the same group that called Google+ a “ghost town” using figures that were both horribly incomplete (i.e lacking valuable data like the use of the Notification bar, non-U.S. users, private posts, etc…), and based on comScore’s dubious sampling method, which involves the use of spyware. Yes, you read that correctly… spyware. However, in this case, I think comScore’s figures are fairly accurate, but only by an arbitrary definition of the “tablet market”, which treats it as one monolithic “market”. The reality is that there are now at least two established “tablet markets”, one dominated globally by Apple, and the other dominated in the U.S. by Amazon, with Google’s Android runner-up in both categories. These two markets have no names, but they break down to “mini” tablets (generally 7-inch form factors) and larger tablets (generally 10-inch form factors). To conflate these two markets is as absurd as conflating the Netbook and Ultrabook markets, simply because they both happen to be portable PC’s. Netbook sales will not meaningfully affect Ultrabook sales, and it’s also unlikely that the latter will meaningfully affect the former, given that despite some functional overlap they largely serve different purposes. Equally important, if we are to lump both types of devices into a single category, then there is a third type of device that should also be counted: phablets like the Samsung Galaxy Note. They are only slightly smaller than a Kindle Fire (and if Samsung eventually creates devices with no bezel, as some reports suggest, the difference could become even smaller), and can do anything a Fire can do as or nearly as well and some things better. In reality, phablets are also a separate tablet market from the other two, but _if_ we are to lump all tablets of any form factor into a single category, then phablets should be included. Given that Samsung is moving about a million of their Notes per month, which will only increase as it expands to new markets and carriers, the actual Kindle Fire share of the “tablet market” (by the monolithic category many journalists lump all tablets into) is surely somewhat less than it appears when these devices are excluded. Of all of these, I think the one market likely to experience the largest growth going forward, possibly exceeding the iPad ultimately, is the phablet market. Why? Because they’re portable, but also because they double as smartphones, which makes it easier for consumers to justify the expense. Some phablet owners may even delay or refrain from buying a separate tablet, or will at least use their devices in ways they would normally use a more conventional tablet, which is still a win for the phablet makers. Does Samsung suspect the same thing? Is that why they are still paying far more attention to the smartphone market than tablets, and pushing their Galaxy Note on the market more than (from what I can tell) all of their Galaxy Tab devices combined? Perhaps. Regardless, the media needs to stop conflating the multiple tablet form factors by treating them as a single market, when in reality, they just aren’t, anymore than a dog is a bear, a Netbook is an Ultrabook, or comScore spyware is a “survey”.